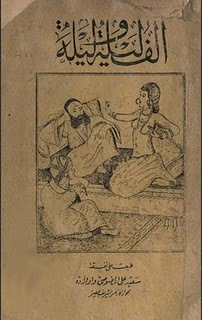 First of all you must know that the edition they are speaking about is the oldest edition printed from the book in modern Egypt during the time of Mohamed Ali pasha at the famous Imbaba printing house and it was printed after the approval and the revision of Al Azhar ; yes approved by the Al Azhar in the 19th century with its bad NSFW words and imagery !!! Already the last edition available from the Imbaba printing house is the 1935 edition which is not even in Cairo or at the Bibliotheque Alexandrie but rather in University of Toronto !! "Do not ask me how or why !!" The Attorney-General, Abdel Meguid Mahmoud dismissed the cause against the Arab heritage famous book "One Thousand and One Nights" All charges of defamation of religion and advocacy of immorality were dropped. Meanwhile, the Attorney-General said that the investigations in the case of the novel "Azazeel," the Coptic Church which was considered offensive to Christianity, will be announced during the next few days.